Android is the most powerful Operating System driving more than 95% of Smartphones. And the best thing about the OS is the Google Play Store. The Play Store hosts millions of useful Apps which you can download and install directly on your Smartphone to make your life easy. Also, there are millions of independent and free source Apps which you can install on your device without the Play Store. Google is very strict when it comes to Policies or Terms & Services. You have to adhere to its rules for your App to be accepted by Google. Many useful Apps do not make to Google Play either due to Play Store Policy Violation or App Content Violation. Today in this post I will tell you some of the best and must have Android Apps for your Android Phone which is not available on Google Play Store. I have categorised Apps according to there nature so that you can make a better decision in case if you wish to get one. So, without wasting much time lets dive into it. Here are the Best Android Apps Not on Play Store and are either banned or removed. Having access to Apps offering free online streaming, free download of paid Apps, utility features and other great options is the best thing on the internet. The Apps below do the same by offering some features which do not make Google happy without paying any penny, thus making no place for itself in the Play Store. These App will never be on Play Store, thanks to its large library of movies and TV Shows which can be viewed for free. Showbox is by far the most popular online streaming app thanks to its smooth UI and easy navigation. As you can expect the app is not available on Google play store, given the Google’s Policies & Conditions. But if you wish you can download the Apk file for your Android smartphone. Live NetTV App is a general purpose entertainment App which hosts 700+ Live Channels, Movies, VOD, TV Shows, Live Sports and all popular programmings from many more than 8 countries. The service is absolutely FREE. It is so simple to use that you will instantly love it. Mobdro is the most popular live TV app for Android. The App is a one-stop destination for free live TV. The App categorizes channels into various genres namely, Movies, Entertainment, Sports, Music, Tech, Animals, gaming, anime and spiritual. The app also houses popular TV shows which you can download. Terrarium TV is a “not so legal ” video streaming App which lets the users watch all the latest content from big production houses right on the supported devices without any Fees or Subsciption. The App does not even ask for any account formation to access the vast library. The TV shows and movies are available in HD quality and are uploaded to the App in no time of the release. The Terrarium TV supports Android-based devices but you can try it on other ecosystems by means of an Emulator. If claims are to be believed, there are over 10000+ programs and TV shows catering to millions of users worldwide. Large collection of HD and 4K movies. Basically, the NewPipe App just collects YT websites URL source and displays it in form of the App. But this App can prove to be very powerful if you have a low-end Android phone with limited power. Some Apps which rely on traditional Internet Apps developed by modification to appeal the users. These Apps do not comply with the App Store Norms and hence need to be downloaded independently. You saw this coming. Right? The list would be incomplete without the mention of TubeMate, the most popular YouTube video downloader app for Android. The TubeMate App has many great features including pause/resume downloads, background download, multiple downloads, inbuilt player and much more interesting. The TubeMate not only allows you to download videos from YT but also from other popular video streaming App like Vimeo, Dailymotion etc. VidMate is a powerful Video Downloader App. The App is more of the improvised combo of SnapTube & TubeMate. The App has an inbuilt browser and has all major features required by the video downloading App. The UI is very intuitive and easy. You can play video online or download them at ease. You can download the videos in various resolution. There are also many other features of the App like Movie & TV Show Downloads with a click. A large number of Hollywood and Bollywood Movies and TV Shows. MIUI Player has something to give which we all love, Music!! Music for free. MIUI Player has something to give which we all love, Music!! Music for free. You can play songs and/or download music for free. Just you need to search for a song, directly play it or hit the download button and choose the audio quality to save offline. It is an official music player from Xiaomi which along with local audio play also lets you stream free music. All this through a clean and clear interface. The MIUI Player also has an incorporated radio for quick access. It is the best Android Music Player App for YouTube. You won’t find this App on Play Store due to Google’s ToS which won’t allow Apps to download media from YouTube. The App has some cool interface and features which you are looking to have in a YouTube Player Apps. Listen to the songs even when the screen is OFF. Create Playlist and Add favourites. Play Store is a great place to download all the stuff, but there are some 3rd party independent Markets which tends to offer stuff and material which you cannot find in the Play Store. Aptoide is the best alternative app store like Play Store for Android. The Store is similar to Google Play Store, offering digital content where you can browse and download the apps. It is a marketplace where all the apps are available, you need to Google search every time to download the apk file of the app. It presently offers over a million apps. F-droid is a freeware open source program allowing the developers to publish Apps on F-Droid App if it is unable to pass the scrutiny of Google Play Store norms. The FOSS Program is operated by independent developers at F-Droid org to give users access to Apps with no any intervention from Google. There are many useful Apps on F-Droid itself which are not on Google Play Store. Great depth of App filtration; Paid Apps, Apps with Ads etc. Just download the DNS66 App from F-Droid and open the App. Here click on Domain Filters → Adaway Host Files. Tap the power icon on the home screen of the App and download any missing files if prompted. Done! Adblock activated. Some Apps may not be that threatening to Play Store or its ToS but they just cannot grab there spot in the marketplace because of its nature, below are such which are very needed but the Internet Giant abstinence it. MixPlorer is fast, efficient and smooth File Manager App for Android. It includes all the popular features from all popular file managers for Android. You can access the root files, move & copy files, customise the App and change the font, style and feel according to your need. Extract RAR/RAR5, XZ, APM, CAB, ISO, ARJ, AR, LZH, LHA, CHM, MSI, WIM, Z, CPIO, RPM, DEB, NSIS, LZMA, NTFS, FAT etc. Bromite looks and runs exactly like Chrome Browser as it is made on the Chromium API project and developed by the independent developers. Therefore, you can expect no compromisation in the speed of browsing. The app aims at providing a no-clutter browsing experience without privacy-invasive features and with the addition of a fast ad-blocking engine. Mods are the powerful applications which keep the original nature of the App and offer features which either paid or highly demanded. Based on the Chromium project hence same high browsing speeds and UI built same as Chrome Browser. High browsing speeds as it runs on Google’s Blink Engine. This app for sure will be the best Forked Version of YouTube App given its features and stability. We do not endorse the App nor are affiliated with it in any form. This post is for informational purpose only. The App has got a lot of features which we lack in traditional YouTube App. Some Apps are unethical or they direct indulge in unscrupulous activities. Lucky Patcher is a multipurpose App which is powerful enough to execute codes changing the nature of other Apps. The App remotely scrutinizes the installed apps on your device and shows the possibility to remove the license verification by modifying the associated permissions; extract the APK file to do backups; and other illicit actions like removing Google Ads or unlocking paid apps to be able to install them on other devices. 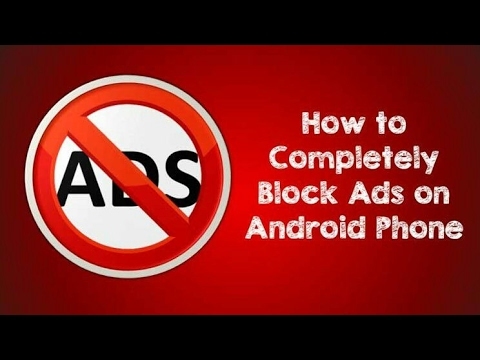 If you wish to Mod an App, remove Ads or make some purchases without any pay than Lucky Patcher is the best. The Triangle Data Saver app is great for preventing apps from consuming data in the background without your knowledge. You can also grant apps access to mobile data for 10 minutes or 30 minutes from a prompt that pops up when you launch an app. To get started with Triangle all you need to do is grant some necessary permissions (including one that allows it to set up a VPN), and you can then monitor data usage, and restrict apps from consuming mobile data even for 2G/3G/4G data plans. It helps you in an easy way to check your data balance and understand what apps are having the most impact on your usage. Data Saver helps you to allow a few specific apps to use data for 10 or 30 minutes at a time, or always. Fortnite is one of the most popular Multiplayer Onile Battle Arena (MOBA) Battle Royale Game for Android which came into prominence after record-breaking success of PUBG. The game is played as each player on their own or in a squad of two to four players online. The objective of the game is to eliminate all the opponents by killing to win as an individual or team. Game Epics who are the developers decided to skip the Play Store and provide the App directly on their website. Relinquish your childhood with this small yet powerful Android App having games like Mario, Contra, Battle City, Jackal, Street Fighter and many more. It is an APK+Emulator App for Android with 100+ Nintendo games in one App. The game has a virtual controller as touch which allows you to make Joystick control on screen. Play the games which made your childhood memories sweet again with a single App. MusicPiped is a free open source music player which lets you stream songs directly from YouTube. Apart from being free it also doesn’t show any Ads and has no API. Thus it functions similar to an Online Music Player, all you need to do is search for your favourite song and start enjoying the music directly from Mammoth Library of YouTube. The App is completely free, lightweight and doesn’t ask for any weird permissions. Built with all the features needed in a Player App. Note & Conclusion: All of the above apps are very much useful and have their unique usability. These Apps will make your experience very much good as they are built with features which makes the App and its functions more favourable towards users. But this led to barring itself from App Store. I Hope the post was helpful. Do comment below for any assistance or support. I will continuously update the list. So, do subscribe us for more updates. If you've any thoughts on 25 Best Android Apps Not Available on Play Store, then feel free to drop in below comment box. Any post on apps that allow cast for free?